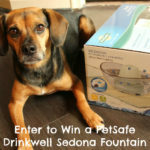 Enter to Win a PetSafe Drinkwell Sedona Fountain Win 1 of 4 Sleepypod Yummy Travel Bowls! Sometimes Ralph and Luna don’t drink enough on their own to truly stay hydrated. With our impending cross country move coming up I wanted a portable option to entice them to intake a bit more fluid while we’re on the road. The key to that was portable. While we will have a cooler in the car with us, we definitely won’t have excess space for an elaborate ingredient list or individual frozen pupsicles. That’s why I immediately thought of using our Sleepypod Yummy Travel Bowls for a fun summer themed frozen refresher for Ralph & Luna. Some might say watermelon is a food powerhouse because it’s super low in calories and packed with important nutrients like vitamins A, B6, and C and potassium. 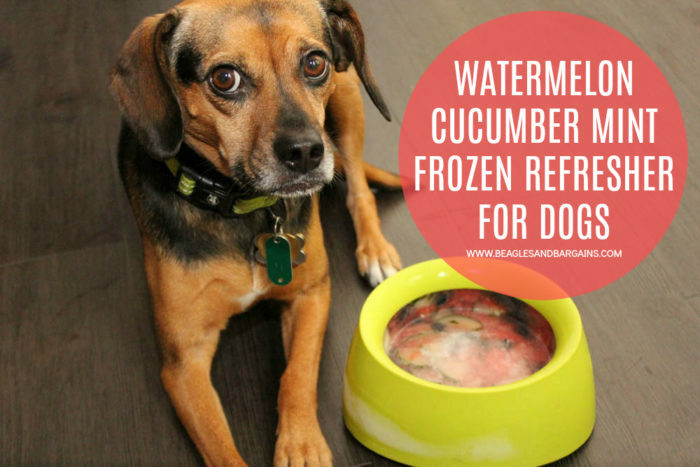 Plus, it’s called WATER-melon, so you know it will help keep your pet hydrated as it is made of nearly 92% water. Cucumbers are also full of valuable vitamins and minerals while being super low calorie. They are a great source of Vitamin K, Biotin, Copper, Manganese, and Potassium, so they make a great light snack even by themselves. There are a ton of different uses for mint including soothing an upset stomach by reducing gas and nausea and of course helping to freshen breath. Plus, it adds the classic mint flavor. 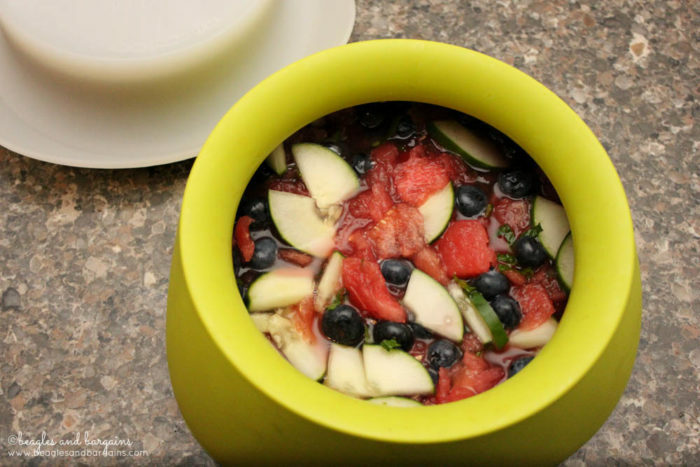 The Sleepypod Yummy Travel Bowl is perfect for this recipe because it seals completely, is spill proof, and is freezable! It’s also dishwasher safe if it gets a little sticky and microwave safe if you want to melt your frozen treat a bit faster. Plus, it comes in five gorgeous colors! Blend 2 cups watermelon with regular or immersion blender. If you don't have one, smashing with a fork works too! 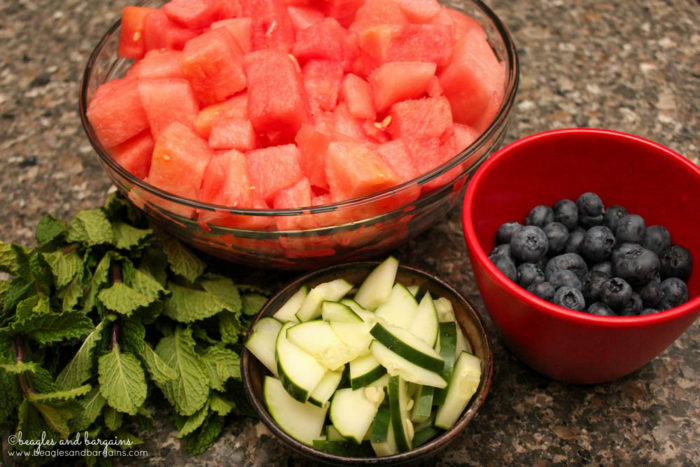 Add watermelon, cucumber, mint, and blueberries (optional) to your Sleepypod Yummy Travel Bowl (or similar). Add fresh water until bowl is full. Really you can add pretty much any dog safe fruit or veggie that you think would mix well together. I threw in a few blueberries because we happened to have some in the fridge. It’s a super easy way to encourage your dog to drink more! The hardest part is waiting for the mixture to freeze. …But you don’t have to wait! 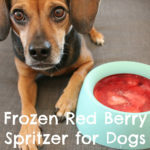 Your dog can enjoy this as a cold beverage as well. It just might not last them as long. In fact, you probably want to keep an eye on them because they might just gobble it all up! 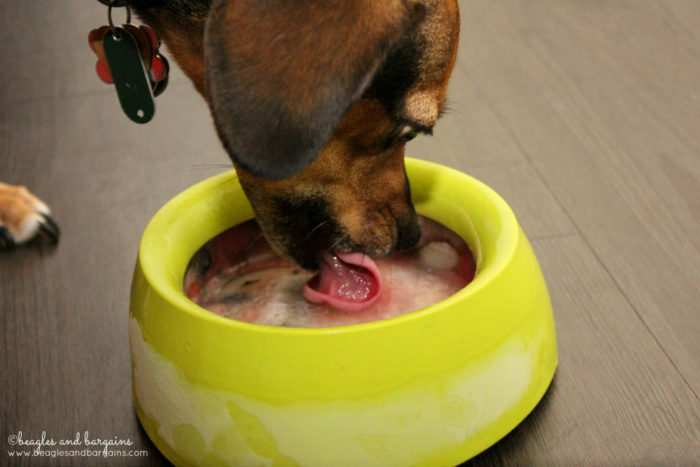 And, don’t forget that if you give your dog THAT MUCH extra liquid in one sitting, they are probably going to have to relieve themselves sooner. Not that I learned that from experience or anything. 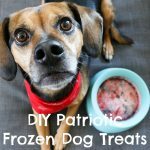 Don’t forget to also try out our Patriotic Frozen Dog Treat and Frozen Red Berry Spritzer recipes! What’s your dog’s favorite frozen treat? Like this post? 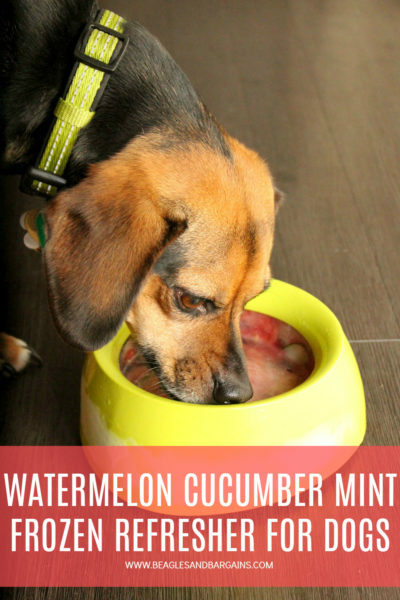 Share this recipe for Watermelon Cucumber Mint Frozen Refresher for Dogs by pinning the image below on Pinterest! 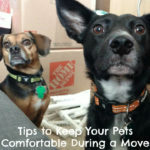 Disclaimer: I am being compensated to help spread the word about the Sleepypod Yummy Travel Bowls. I received no other compensation or additional benefits for mentioning the brands or products in this post. The opinions and ideas in this post are my own and are uninfluenced by any other person or business. 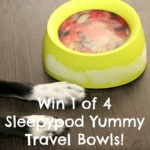 Win 1 of 4 Sleepypod Yummy Travel Bowls!